Today’s manufacturers need requirements-driven products brought to market faster than ever. Smarter and iterative R&D all starts with the integration of your product structure into SAP S/4 HANA. Even if your design programs sit outside of the SAP landscape, you’ll be able to integrate directly from your CAD drawings - using the structure in the CAD system to define your bill of materials in S4 HANA. SAP S/4 HANA’s powerful digital capabilities facilitate seamless integration between your R&D and downstream manufacturing departments, enabling an iterative and collaborative approach to design and build that results in a faster time to market of more desirable and profitable products. With your BOM defined in SAP S4 HANA, handover to manufacturing is made much easier. Even with manufacture underway, design never stops - and the product structure continues to evolve in the engineering system. Whether its due to obsolete parts or simply better designs, transmitting those engineering changes requires a highly controlled process with full visibility of design history - all of which can be managed effectively by SAP S/4 Manufacturing. Integration with SAP’s S/4HANA platform has delivered product development efficiencies and increased initiative success rates for manufacturers around the world. 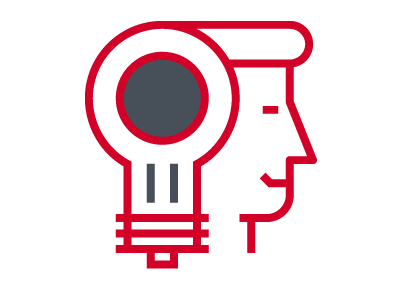 Our work with you starts by establishing best-practice processes on a global scale, identifying how your current R&D operation stacks up against the best in the business. Whether you are starting a new implementation or digitising an existing SAP landscape, AgilityWorks can help - taking your Product Data Management into SAP using CAD, or integrating PLM systems into S4 HANA using the Engineering Control Centre. We recognise the key overlap between S4 and PLM, and can advise on how to model between the two. Let us introduce you to Visual Enterprise. Integrated into S/4HANA, SAP’s Visualisation tool represents an exciting step forward for R&D teams. Rather than paper-based or Powerpoint work instructions for operators, Visual Enterprise allows you to make 3D movies based on your CAD images - resulting in a paperless shop floor and streamlining the raising of defects (with every image loaded with meta data). The images can also be integrated into production and maintenance orders. Rapid design-prototype-test iterations are essential for a ‘fail fast and cheap’ approach to R&D and such agile thinking is what AgilityWorks is all about. 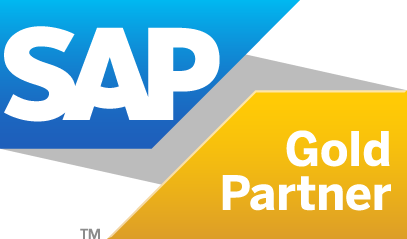 By working with us you can be assured of a partner with deep knowledge of SAP S/4 Manufacturing and how to harness it to build agile processes fit for the digital era. Rapid design-prototype-test iterations are essential for a ‘fail fast and cheap’ approach to R&D and such agile thinking is what AgilityWorks is all about. By working with us you can be assured of a partner with deep knowledge of SAP S/4 Manufacturing and how to harness it to build agile processes fit The AgilityWorks manufacturing team has a wealth of experience across the manufacturing industry, with particular capability in the field of Aerospace and Defence. Put your project in the safe hands of people who understand the unique nature of your business and the changing digital manufacturing environment. the digital era. We can help you leverage the leading edge capabilities offered by SAP S/4 Manufacturing to drive digital innovation across your R&D department, enabling you to bring new designs to life with speed and accuracy, based on customer insights. 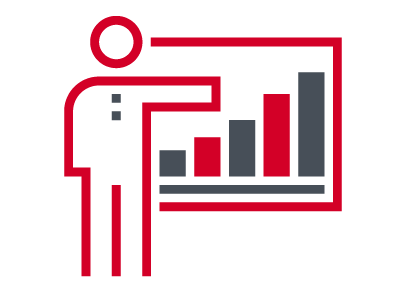 We can also help you develop an intelligent, visual product innovation process to increase your product initiative success rates.